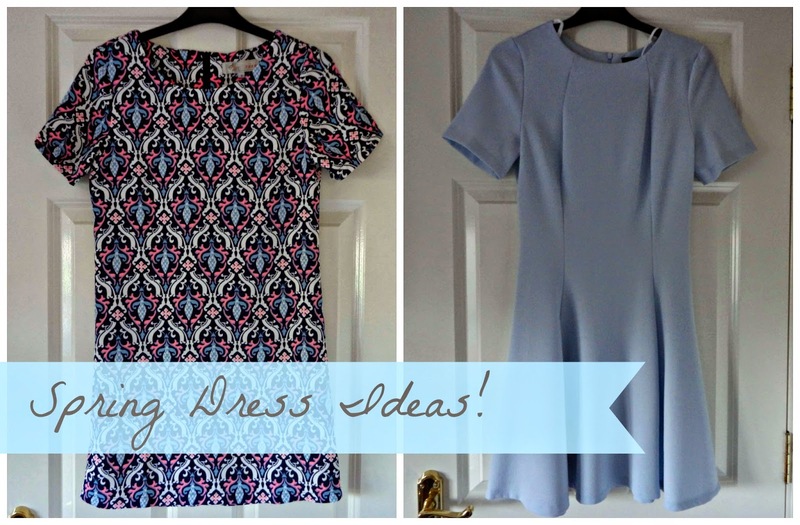 I've really been loving the S/S14 collections that the shops have in at the moment, and whilst doing a spot of shopping recently, I picked out two gorgeous spring dresses that could be dressed up or down as they're super versatile! 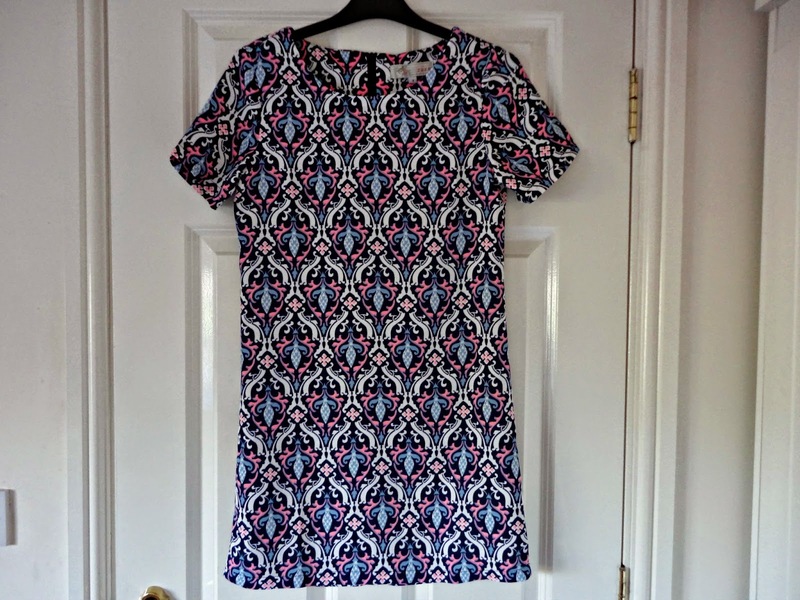 First of all is this gorgeous tunic dress from Cameo Rose (found in New Look). I am in love with the vibrant pink and blue print and the tunic style is really flattering. It also means that you can dress it up with bare legs and heels, or dress is down with tights and boots/flats. Also, because the print is so vibrant, there's no need for any jewellery as the dress does all the talking! Second is this Primark beauty. 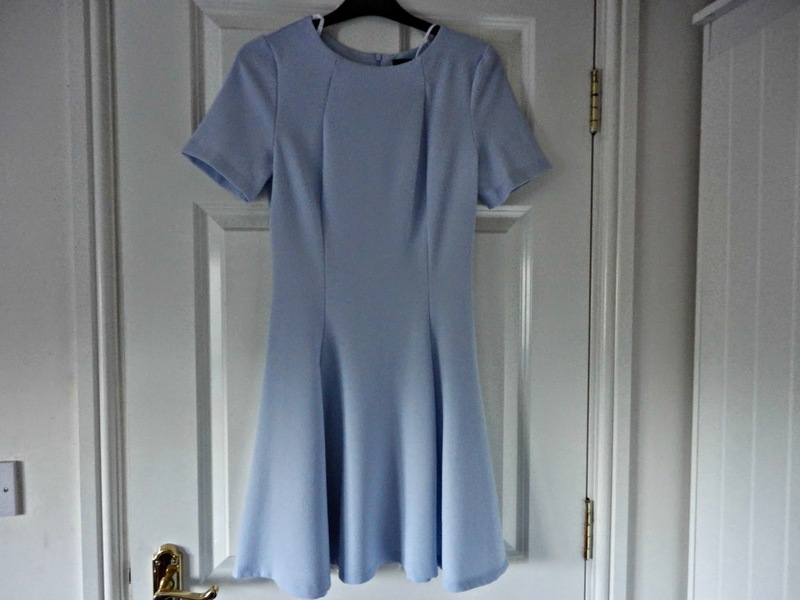 I love the pastel blue colour of this dress, very in for this Spring/Summer. I have a black dress similar to this one from Topshop and I have to say they are very similar in fit and style. The top is fitted and the skirt flares out in a skater style, making it very flattering. I think this would be lovely for a summer party with gold jewellery and wedges, or maybe a summer wedding with white accessories? They also have this in other colours if blue is not your thing, so get there quick before they go!